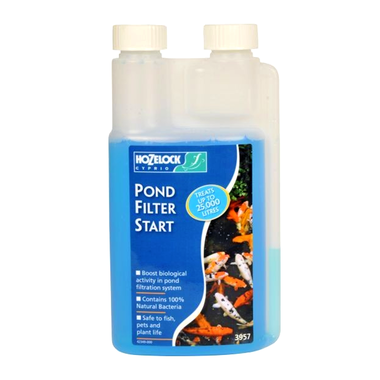 The Hozelock Pond Filter Starter Treatment is ideal for kick starting your pond filter in the spring or if you are adding new fish stock to the pond. Using naturally selected strains of waste degrading bacteria gives your pond a boost by aiding the filtration system of your pond. 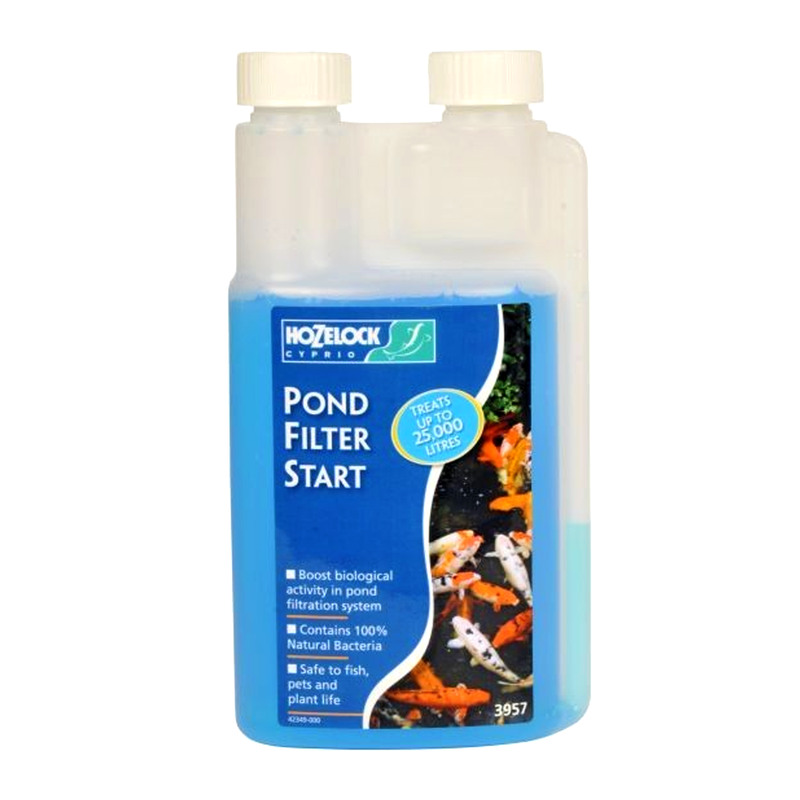 Hozelock Pond Filter Start is completely harmless to Fish, Pets and Pond life, and treats up to 25000 litres (500 gallons) of pond water. When used as instructed, product is harmless to filters, fish, plants and wildlife.